In the last couple of decades there has been an overwhelming improvement on one area of a car’s performance that often gets overlooked. I am of course talking about tires. These curious black rings of rubber have gone through an impressive evolution that has allowed manufacturers of all types of vehicles to fine-tune and extract very different driving characteristics depending what the end goal is. No matter if you are after low rolling resistance for fuel conscious hybrid cars or quiet rolling performance for luxury sedans, tire makers have got something that will work for pretty much every application. 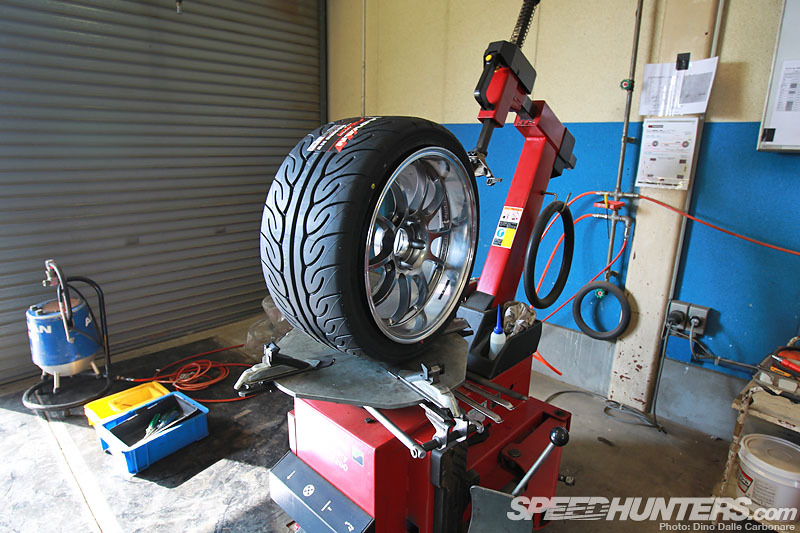 It’s performance we will be touching on here though as you have probably already gauged from the opening image, and in particular the very latest performance street tire that Yokohama has begun selling this month. 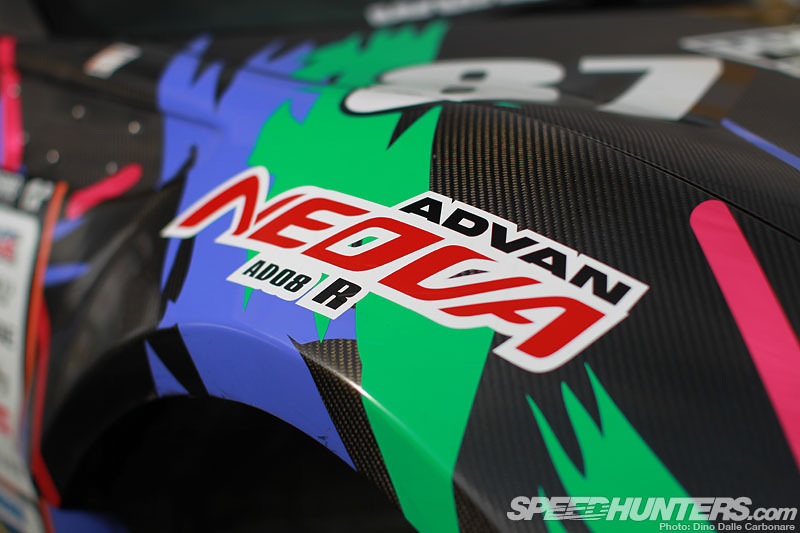 Rather than rely on a simple ad campaign, the people at Yokohama thought the release of this new “R” version of their popular Advan Neova AD08 should coincide with a time attack attempt at Tsukuba. What a cool idea I thought when I found out, but that was before I even heard all of the details. 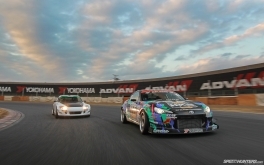 To prove what the softer and grippier compound Neova would be capable of, Yokohama partnered up with two very well known names in the JDM tuning industry: HKS and Arvou. Throw in Nobuteru Taniguchi as the driver and things just couldn’t possibly get more exciting. 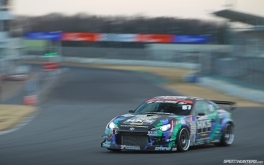 HKS brought their drift spec Toyota 86 that Nob drives in the D1-GP, a curious choice but one that actually will make more sense as you continue to read further. …it’s not exactly a lightweight at 1,150 kg, if we consider the base car’s mass. 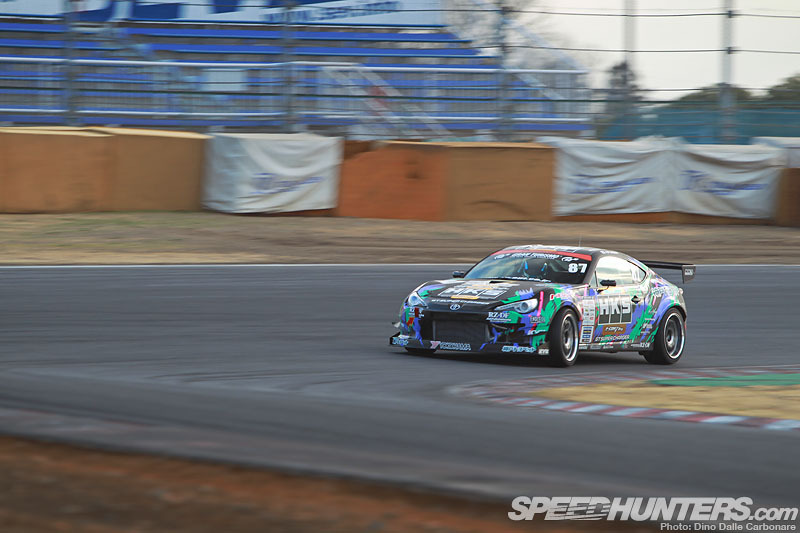 So you begin to see that this ZN6 is actually a good interpretation of what a customer building a highly tuned street/track 86/BRZ with HKS parts would be able to achieve. And if this is the sort of car you are aiming at building, then street legal performance tires is most definitely what you would be running and where the “R” compound AD08 will find its niche. As the mechanics were prepping the 86, Nob had a quick chat with Furutani-san of Yokohama Japan to come up with a plan of attack for the afternoon. With a good few sessions at their disposal there would also be some extra time to allow me to jump in the back on a van and indulge in some car-to-car photography. Awesome! With some time before any driving would begin I dropped by the Yokohama Tire garage area in Tsukuba Circuit where the AD08Rs were being fitted. How about this for a well used tire! 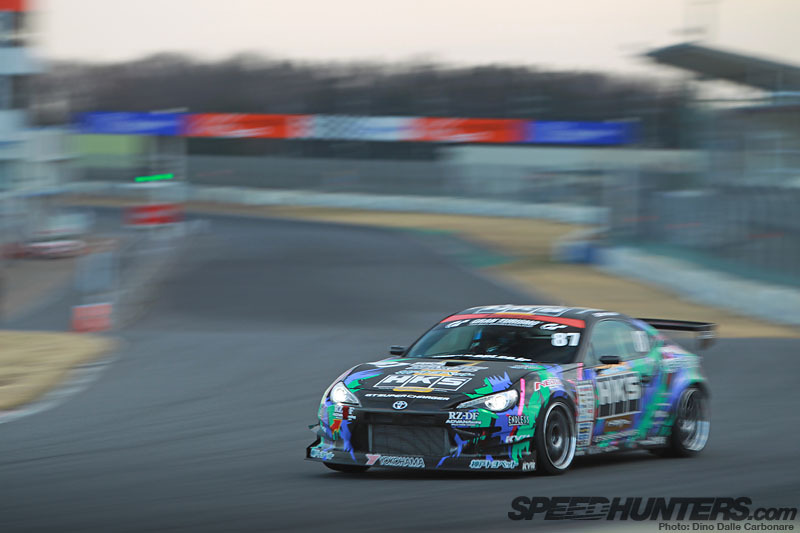 In preparation for this event, Nob, HKS and Yokohama already met at Tsukuba back in February to put the older Neova AD08 to the test with the 86. After countless attempts, Nob was able to extract a 1’01.5″ lap, a baseline time that would be used as comparison for the day’s test. 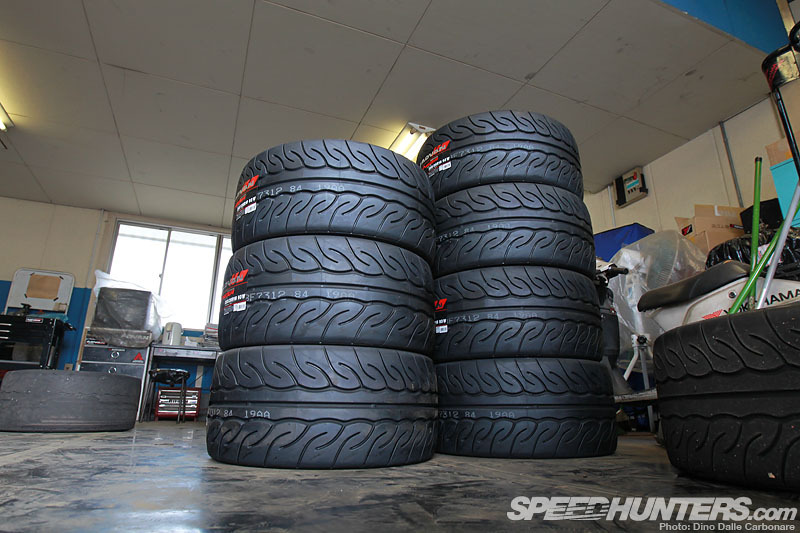 … balanced and ready to go on countless spare wheels. 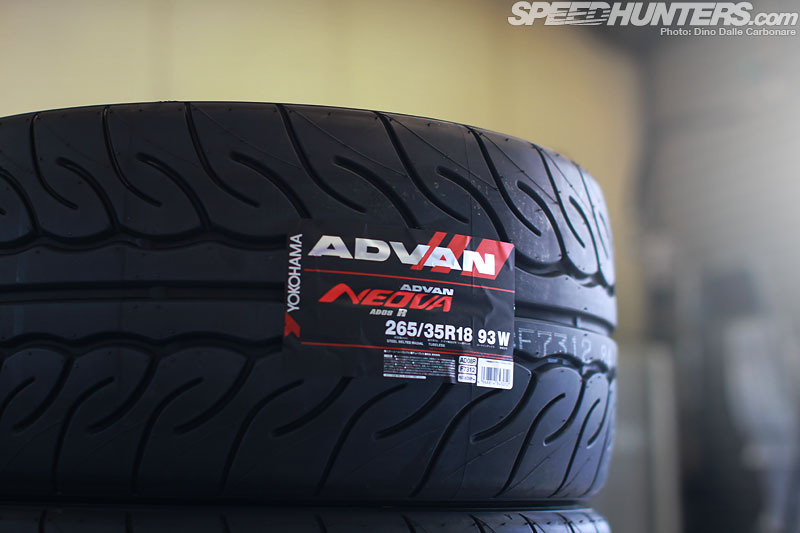 As you have probably noticed, this new Neova runs the exact same tread pattern as the AD08. Yokohama here obviously applied the ‘if it ain’t broken, don’t fix it’ ideology, working only on the rubber’s compound itself. 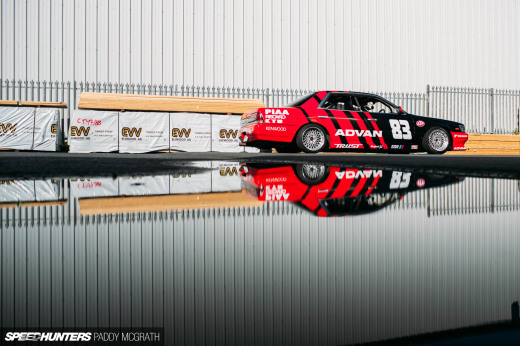 This was a good move as it allows the tire to continue to retain its all-round performance; if you have ever had the pleasure of sampling a Neova in wet conditions, you will know what I am talking about here. 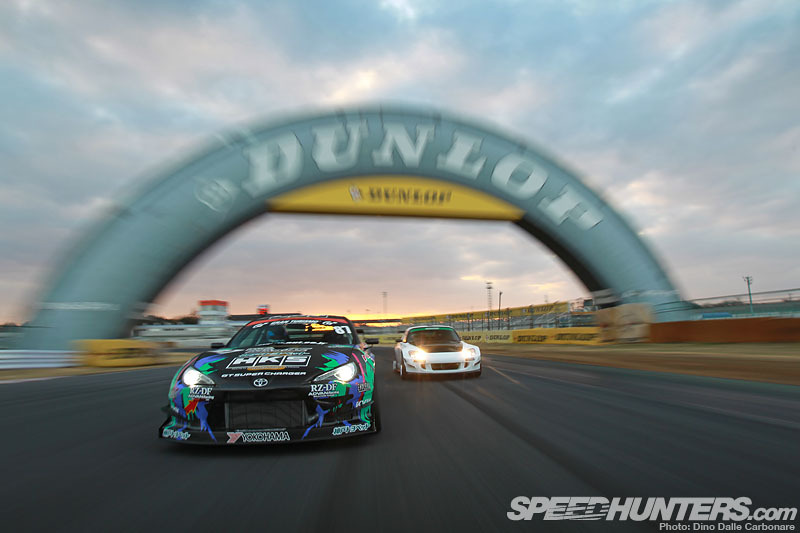 I had a real tough time tying to stay focused, what with the sea of GT-Rs that were being driven as part of an HKS Hiper Challenge timed soukoukai that was happening that day. HKS even showed up with their “Driving Performer” BNR34 that I featured back in 2009. Great to see they have held on to it rather than sell it off. 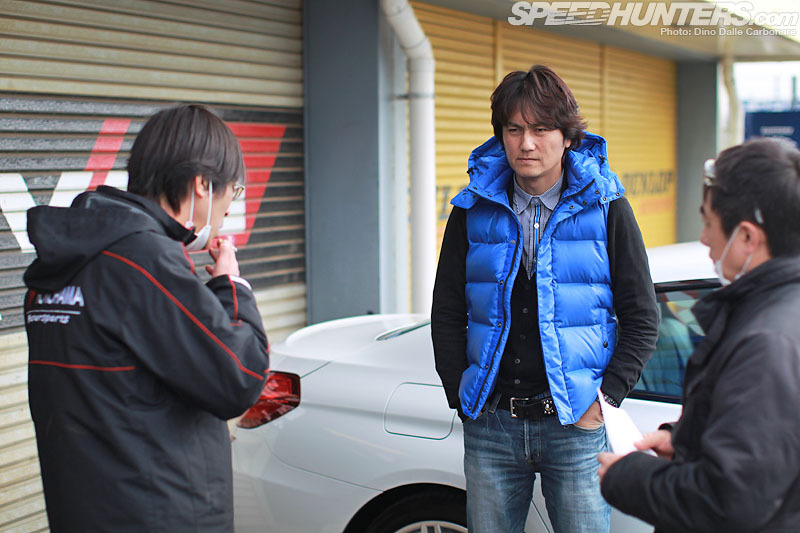 … while Nob waited patiently for his time to come. Okamura-san of Yashio Factory, a Yokohama sponsored driver in drifting himself, dropped by to see what was happening and to have a quick look and ‘fingernail-poke’ of the new compound. 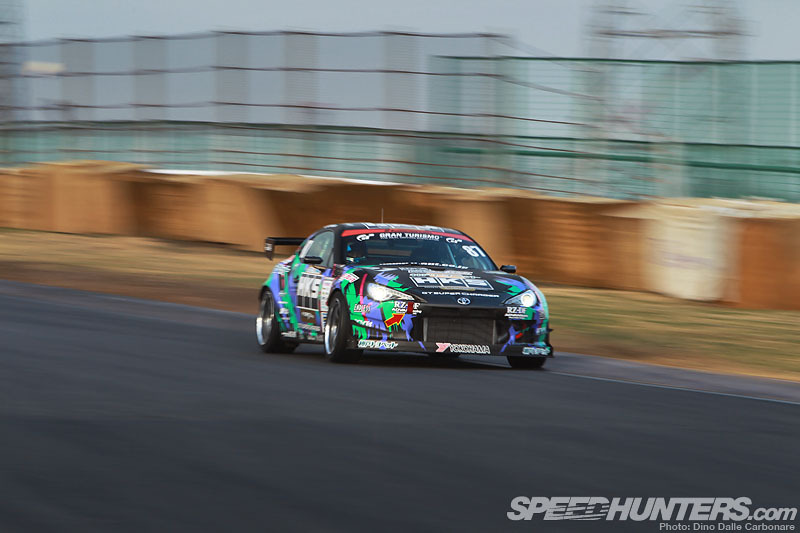 He was in grip mode that day, behind the wheel of his almost-fluorescent S15. 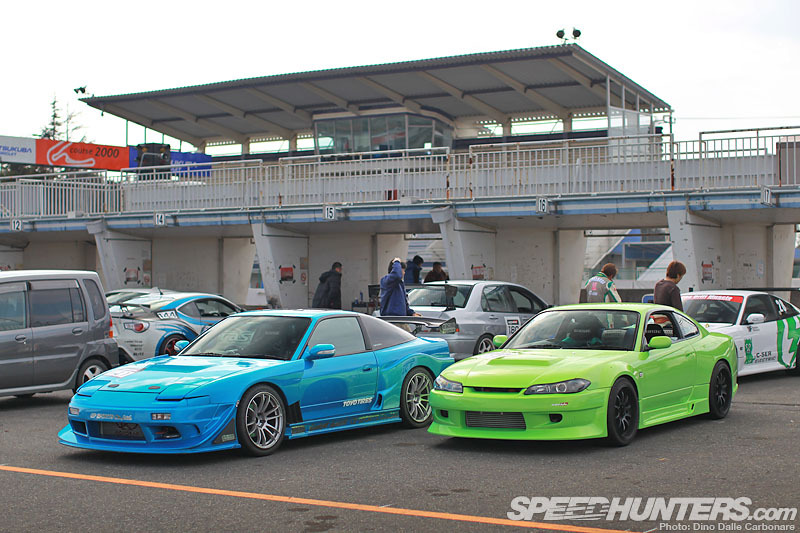 As you can see he had company from GP Sports who brought their 180SX all the way from Niigata. 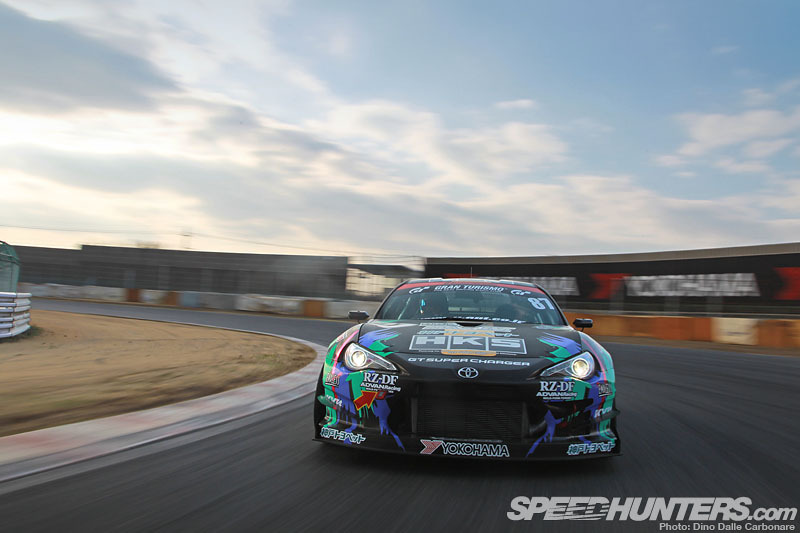 … a good chance for Nob to warm up the car and tires and for some unusually different photography angles at Tsukuba! On the last hairpin corner Nob couldn’t resist to put the car sideways as he exited, probably having a quick feel at where the breakaway point of the Neova “Rs” was. 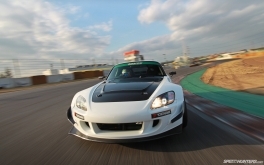 By then, Yuusaku Shibata of Arvou had arrived at Tsukuba with the shop’s S2000 demo car, and after having the new tires fitted came out on track straight away. 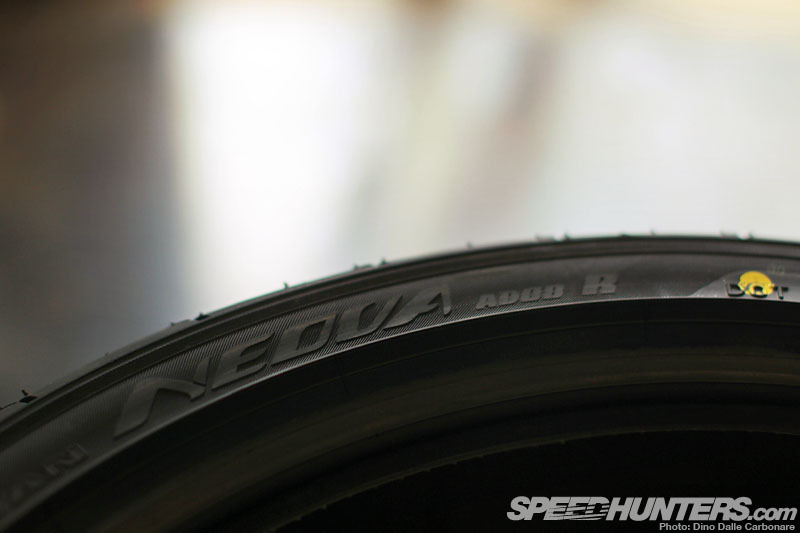 … so he was curious at just how far off this very special street tire would be. 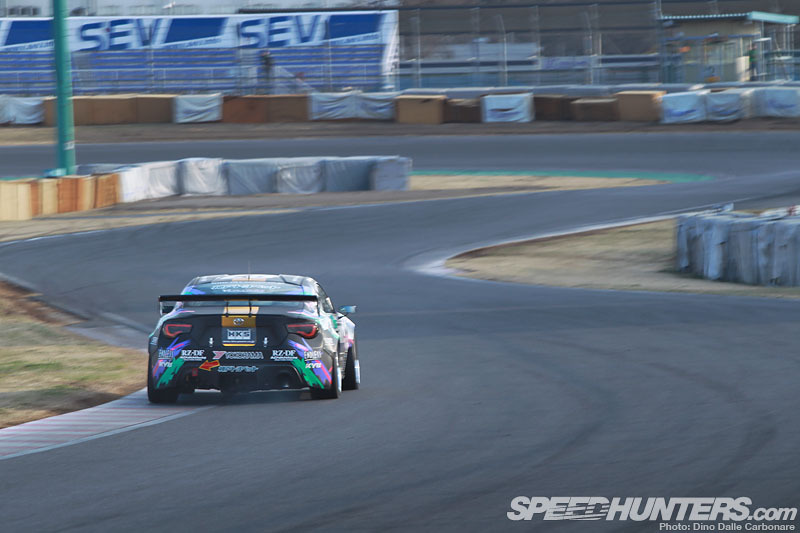 … squeezing every last bit of available grip through the twisty Tsukuba infield. It’s always really weird seeing a fully-fledged D1 car gripping, as you find yourself constantly waiting for the driver to kick the tail out. 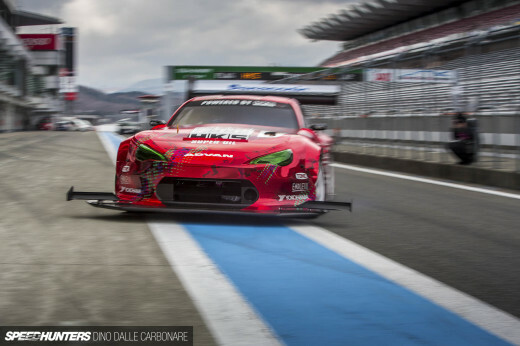 The 86 hadn’t even been specially set up for grip, it was running the exact same suspension alignment, damper settings and spring rates as when it competes in D1. 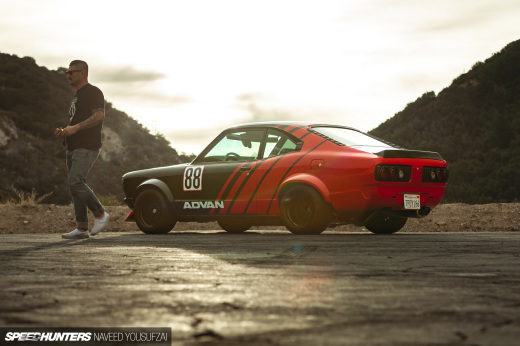 … Okamura-san came for another look and a chat with Nob to see what he thought of the new tires. … and went out for his second and final attack of the day. 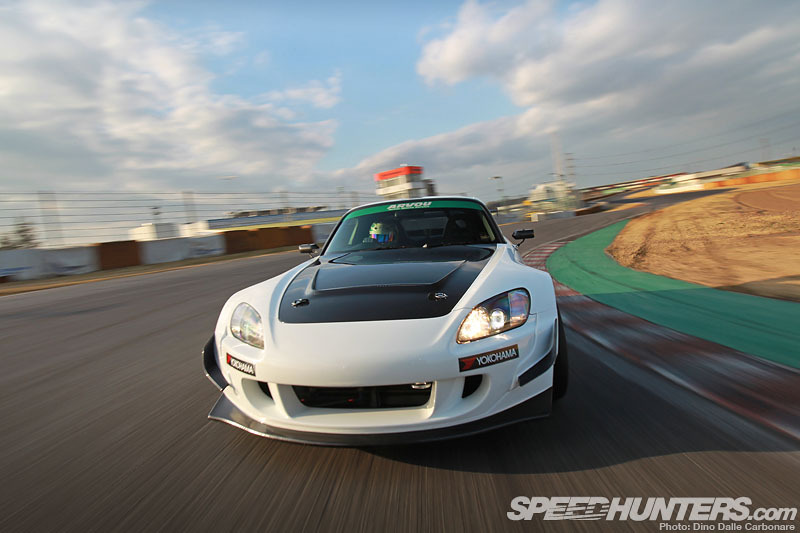 After a few laps the sheer pace the S2000 was carrying through the corners was pretty obvious and he managed to record a best of 1’00″590, extremely close to that minute flat everyone always shoots for at Tsukuba. 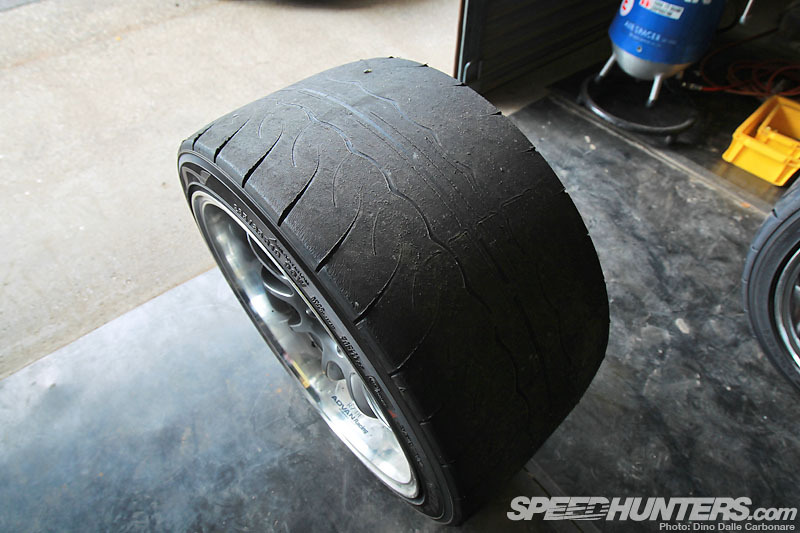 That makes the Neova AD08R just over 1.5 sec slower than a set of semi slicks, which is an achievement in itself. With one good result in the bag, Nob put his game face on and went out for a last attempt. 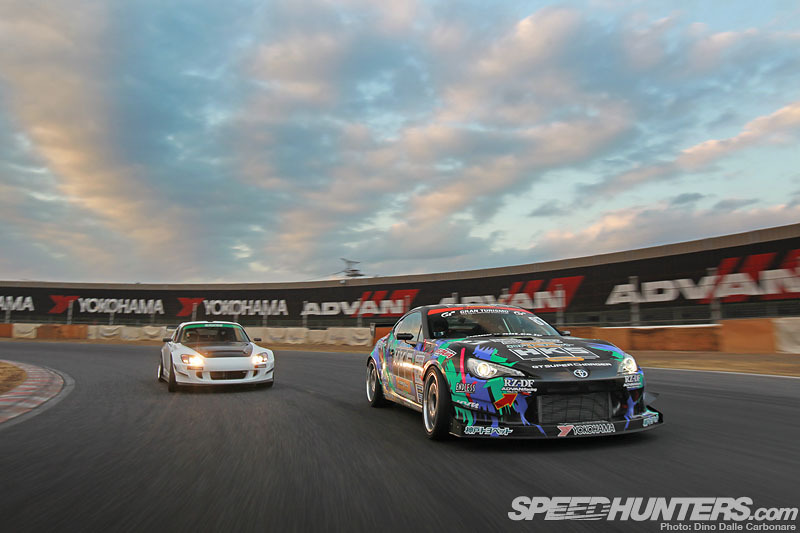 After a warm-up lap and a slingshot entrance through the last corner he managed to do it – 59.813 sec was his time, proving that Yokohama’s newest street tire means serious business at the track. To put that into perspective that makes it close to two seconds a lap quicker than the normal-compound AD08. 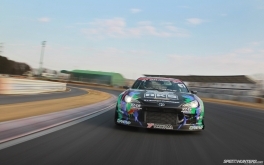 Luckily for those that crave a little sound and moving imagery to see just how hard both drivers were pushing, Yokohama captured the whole day on video. … and this year the AD08R will help make the gap between dedicated semis and street tires that little bit smaller. You can expect a more hands on impression on the new Neova from me, as “Project GT-R” will soon be fitted with the same 265/35R18s that Nob and Shibata-san were running. To say I’m excited to see how they compare to the semi-slicks I’ve been running for the last year would be an understatement! Great review, photos and video, thanks for posting. 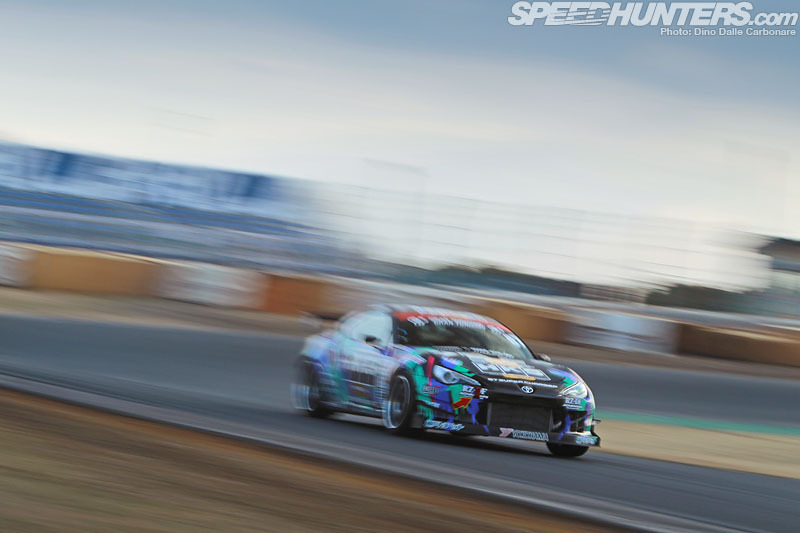 We are a little way from Japan down in New Zealand, and have been looking for a tire to run in an upcoming 24hr race here in New Zealand, with the series running basically stock road cars every edge counts. 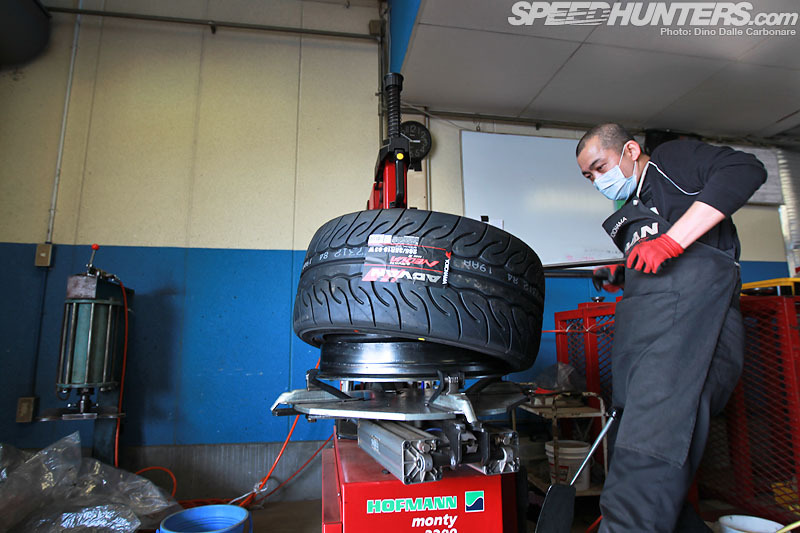 And one place where we are hoping to get the best possible times is from are our tires. We stumbled across the AD80R's somewhat by mistake, but this page and several other comments have convinced us to give the tires a go. We are looking forward to our first test session in late June, either at Pukekohe or Hampton Downs race tracks.